Jopwell, a minority recruiting platform, is getting into content creation. "It's hard to be who you cannot see," said Jopwell cofounder Ryan Williams. "Internally, we thought about what would have been helpful to us in our own careers." 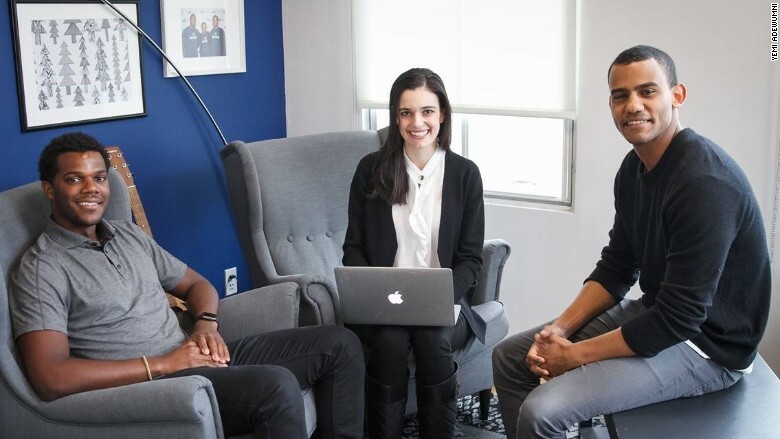 Jopwell launched in January 2015 to give employers a resource for finding minority job candidates. Now, it's tackling the visibility problem of these minority workers. The Well, which launched on Monday, will offer everything from career advice for minorities to op-eds from power players like Rev. Jesse Jackson, Sr.
Jackson's piece, one of more than 25 featured on the site at launch, gets into tech's 2% dilemma. That's the percentage of black and Latino workers at most Silicon Valley firms. "The 'pipeline' must be built from the neighborhoods of New York and Newark; in the communities of Baltimore and St. Louis; in the garages of East Los Angeles and Oakland," wrote Jackson. "The 'we can't find them' syndrome is a thing of the past." Related: Women, LGBT, the disabled. They're Silicon Valley, too. Marah Lidey, the cofounder of daily text message service Shine, wrote about the need for more socioeconomic diversity in the workplace. "It means turning off the 'see candidates in a 50-mile radius' filter," wrote Lidey. "We need to start considering hiring smart people from lower socioeconomic statuses and diversifying the class level of our organizations as an absolute necessary good." A recurring featured called "A Day in the Life," will spotlight different career paths. This week features a Google diversity specialist. The Well will publish roughly five pieces of original content per week, as well as syndicated stories from around the web. Williams, 26, said the new component is a "necessary and organic next step" for Jopwell, which has banked $4.22 million from investors like Kapor Capital, Magic Johnson Enterprise and Andreessen Horowitz. Katie Sanders, who joined Jopwell in November 2015, will head up The Well. Sanders, 26, is a journalist, and had worked as a contributing editor at Glamour. She told CNNMoney that most stories on The Well are framed around the prompt, "What we wish we had known." The site -- which plans to launch video content later this year -- won't just tackle what it's like to be a minority in tech. It will touch on all industries, from consulting to sciences to academia. "We want to run the gamut and expose the realities of what it's really like to be a minority [across different industries]," said Sanders.